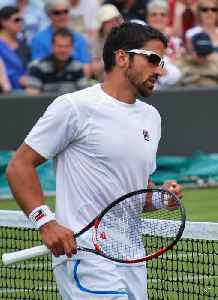 Janko Tipsarević is a Serbian professional tennis player. His career-high singles ranking is world No. 8, achieved on 2 April 2012. In his career, he has won four ATP World Tour titles, one ATP doubles title, three Futures, and 15 Challenger titles. Tipsarević also won the 2001 Australian Open Junior title. Tipsarević has achieved two victories over a World No. 1 player, having defeated compatriot Novak Djokovic twice. He also has thirteen victories against other players in the top 10: four wins against Tomáš Berdych, and one each against Fernando González, Mikhail Youzhny, David Ferrer, James Blake, Gaël Monfils, Andy Murray and Juan Mónaco. He holds victories over former World No. 1 players Carlos Moyá, Marat Safin, Lleyton Hewitt, Juan Carlos Ferrero and Andy Roddick. His best results at a Grand Slam have been reaching the quarterfinals at the US Open in 2011 and 2012. 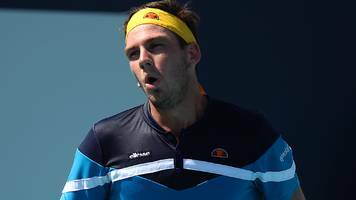 After a prolonged break from the sport, in December 2018, he announced on his Facebook page that his comeback will be at the 2019 Australian Open where he was accepted in the main draw by using an injury protected ranking of 88.